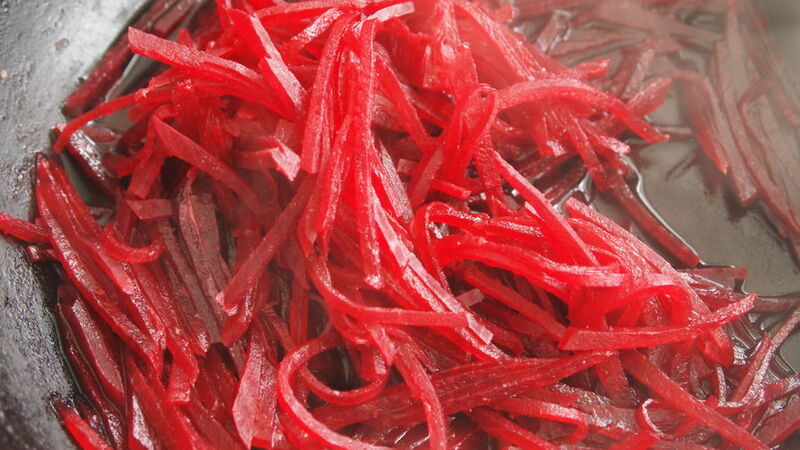 Peel and grate the beets with a spiralizer or a mandolin slicer. 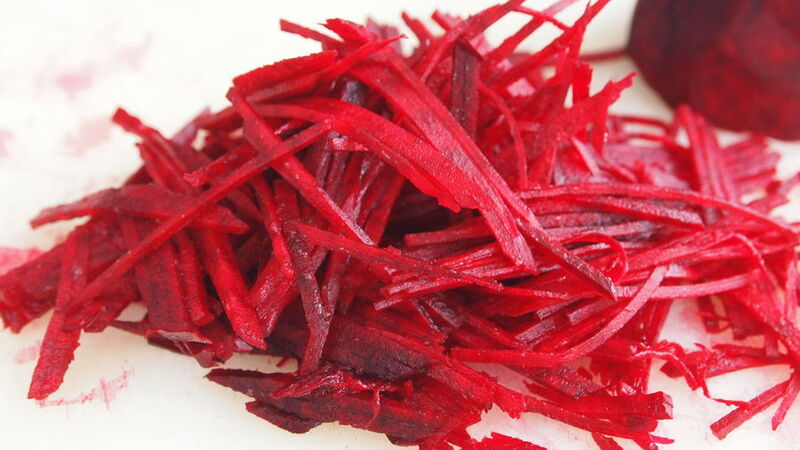 Cook the beets for 3 minutes in 1/2 cup of water with a bit of salt and pepper. 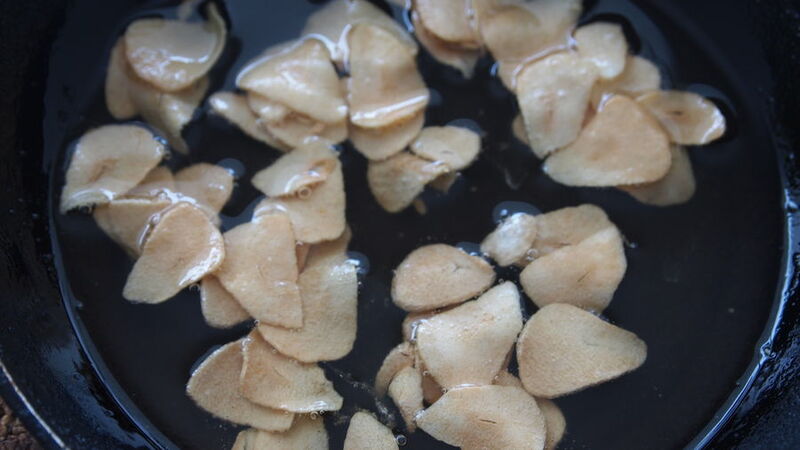 Peel and cut the garlic into really thin slices. Put the slices in a pan with the olive oil and simmer until they turn golden. Don’t let them get too brown because the garlic could get bitter. Remove from the stove and set them aside. 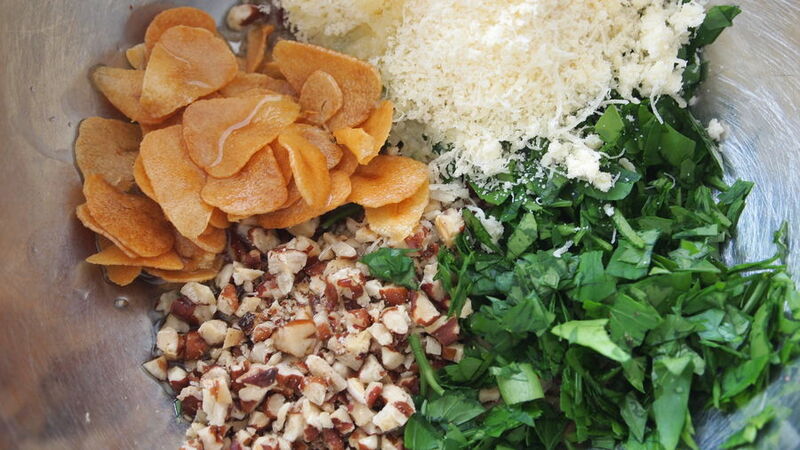 In a bowl, mix the garlic, parsley, pecans, parmesan cheese, salt, pepper and the oil you used to fry the garlic. 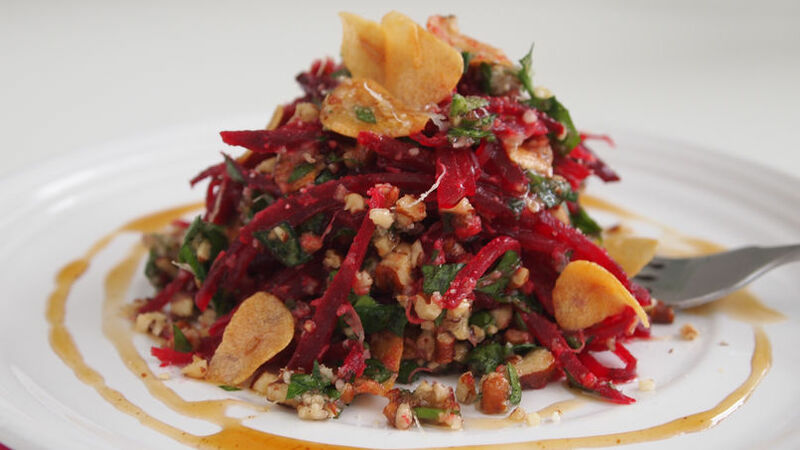 Use some of this pesto on the cooked beets and serve in two dishes, decorating with a few fried garlic slices. Instead of using parsley, you can make a traditional pesto using basil. Use pistachios or nuts instead of pecans.